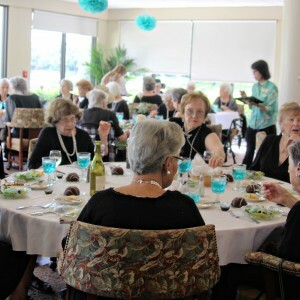 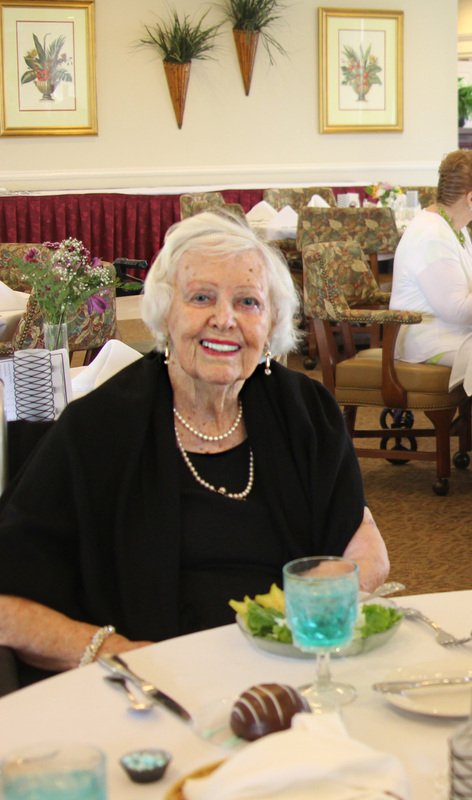 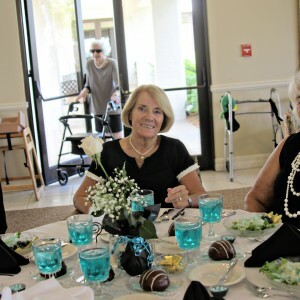 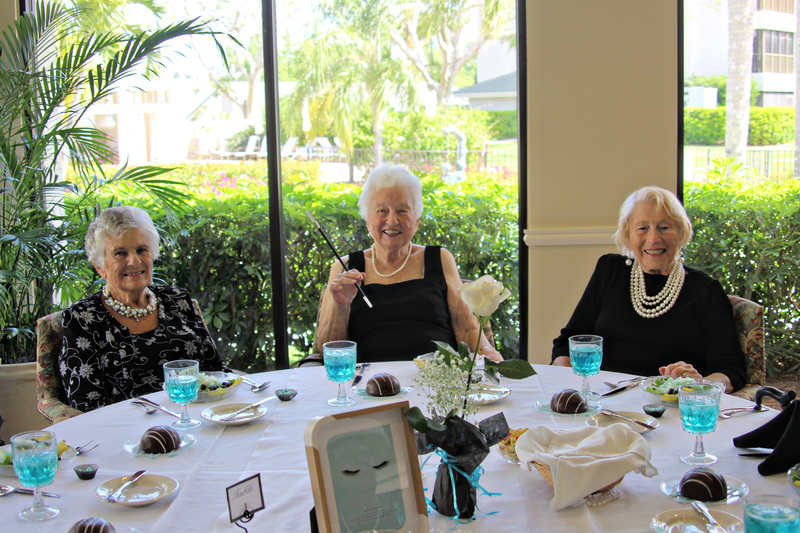 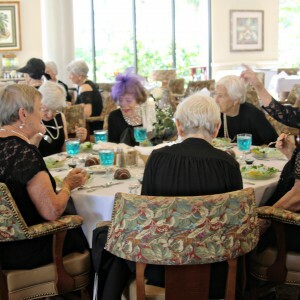 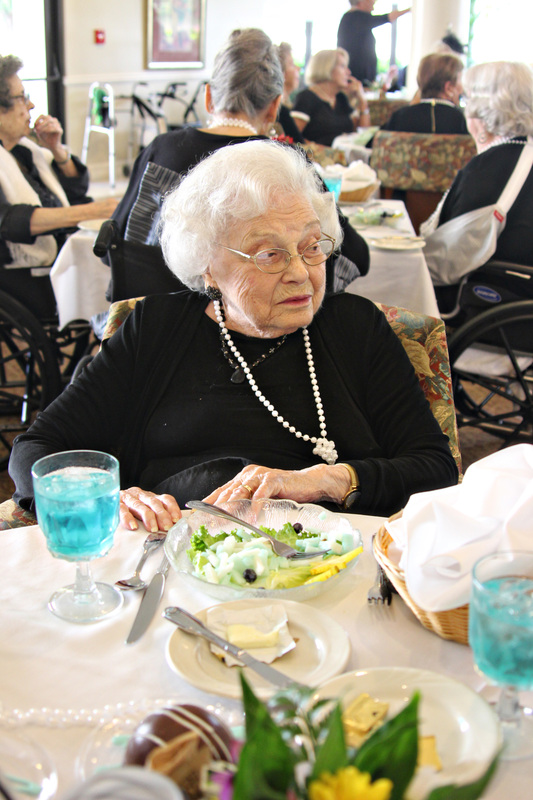 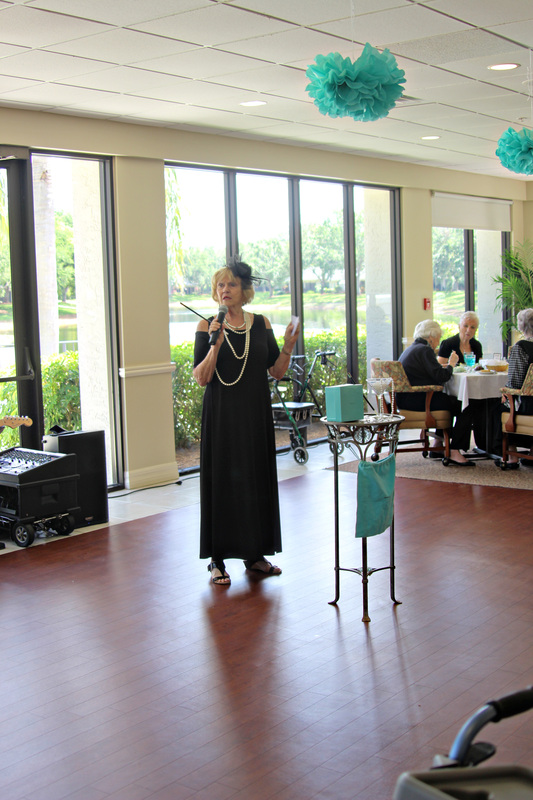 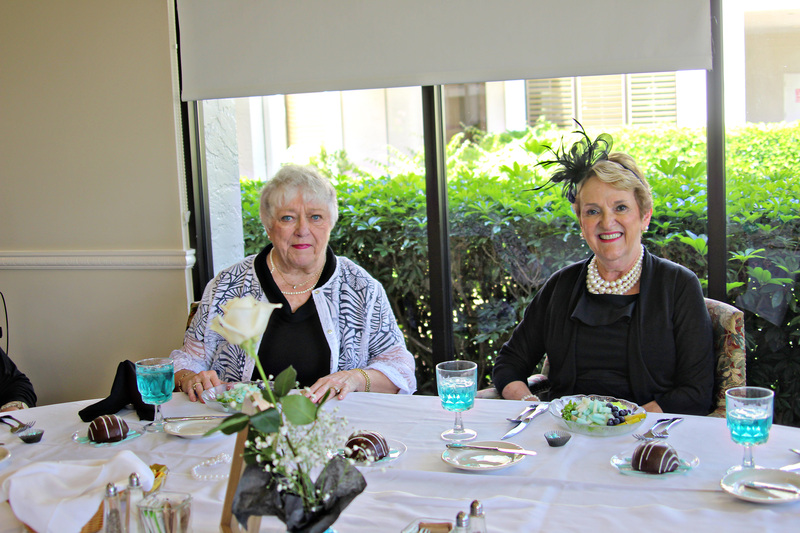 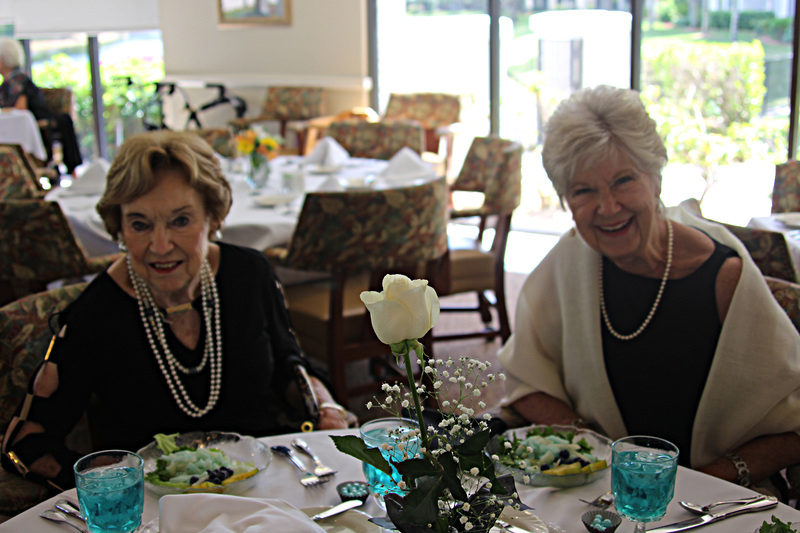 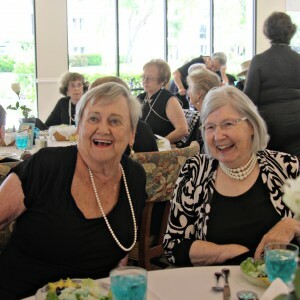 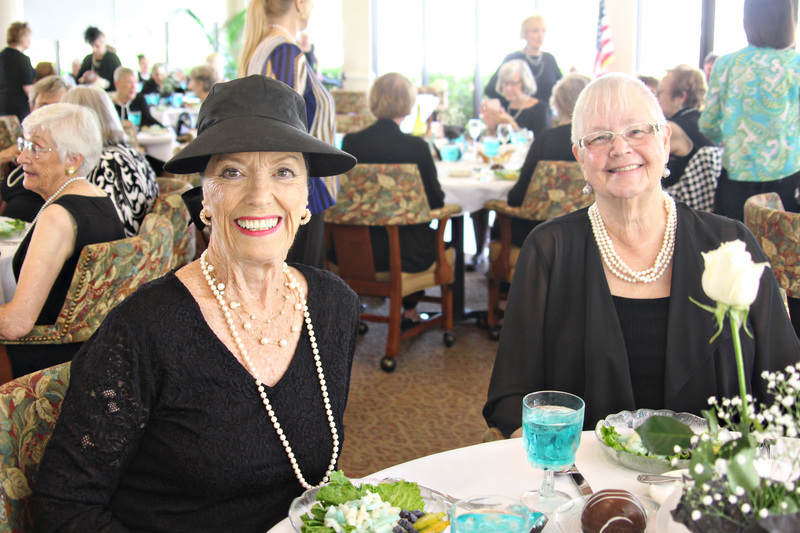 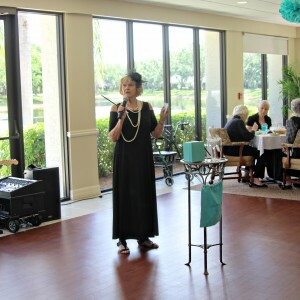 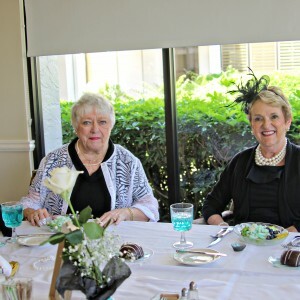 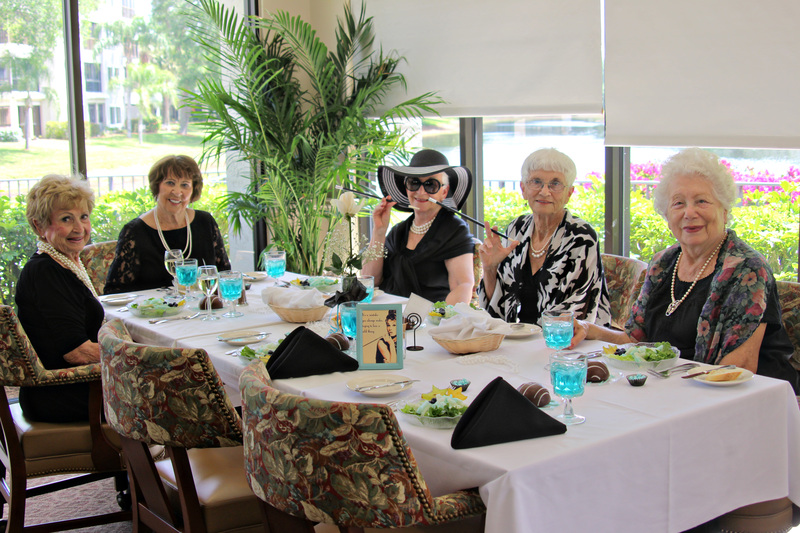 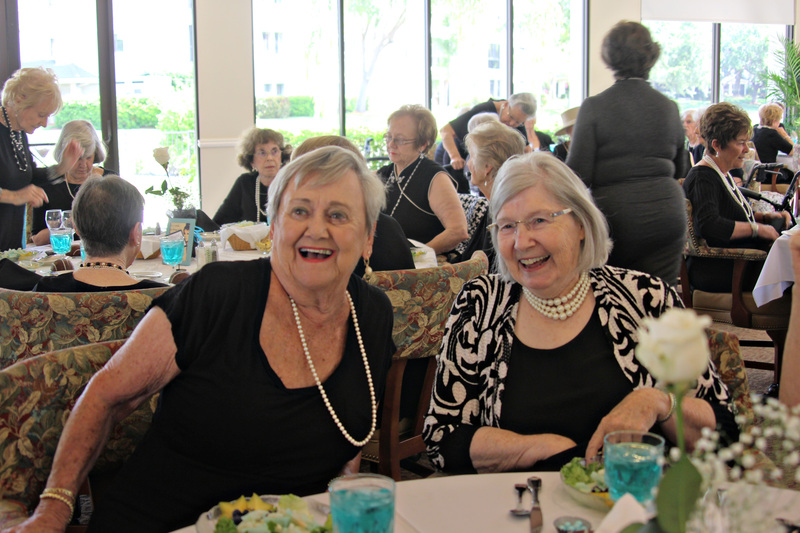 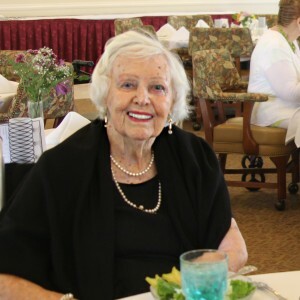 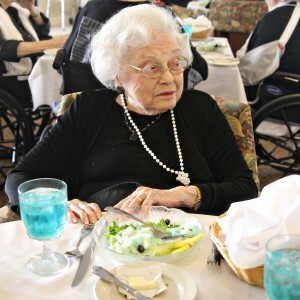 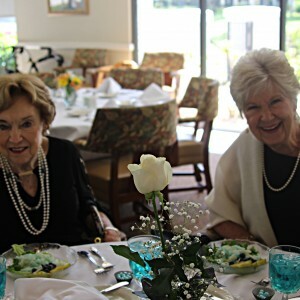 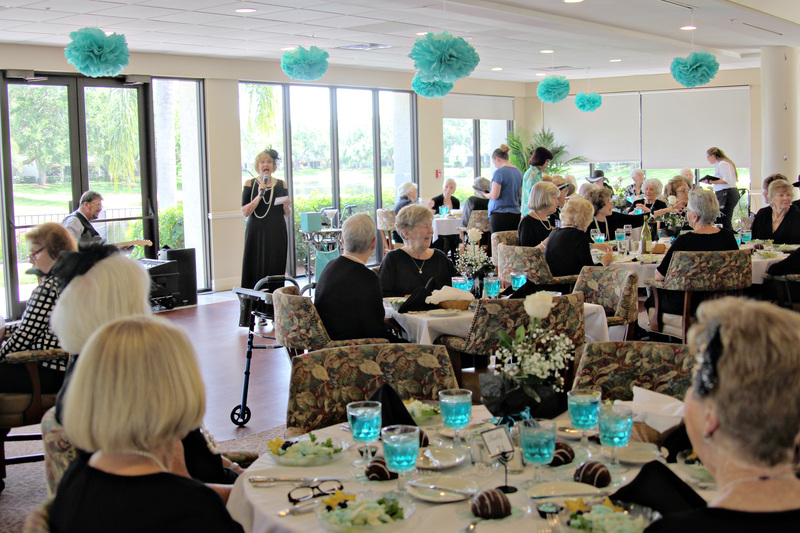 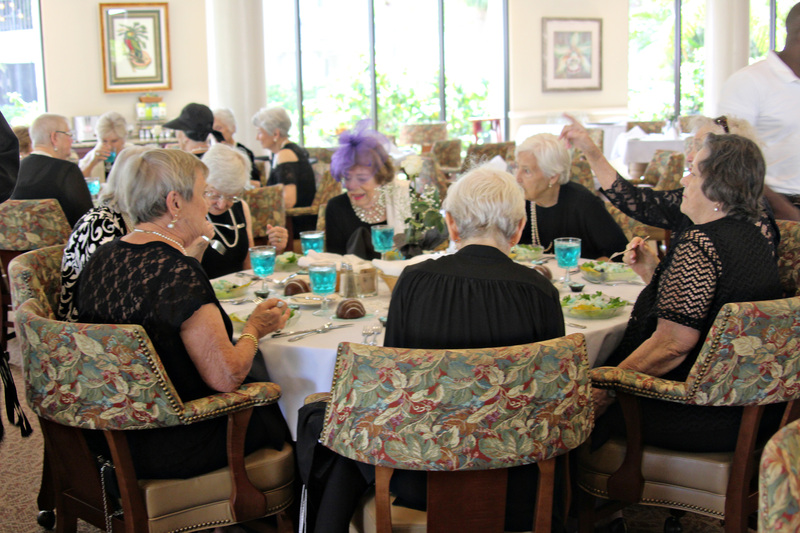 On Thursday, March 29th Arbor Trace held a special luncheon for all of the ladies who live in the community. 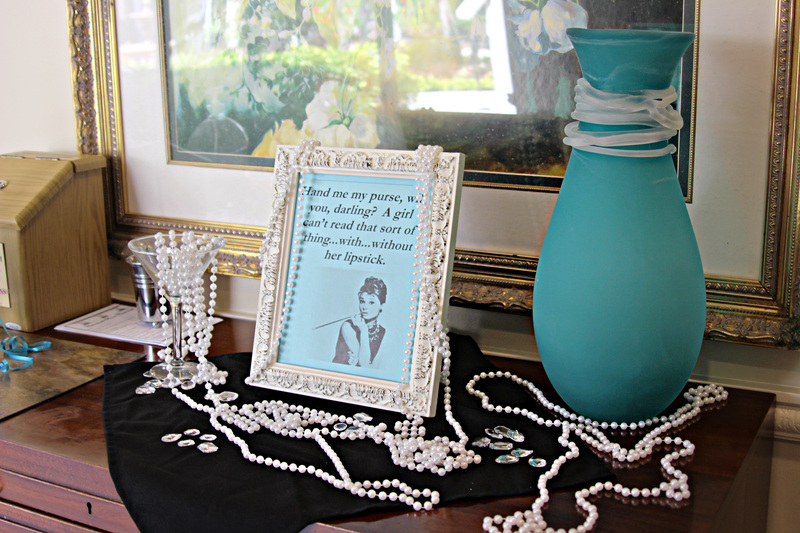 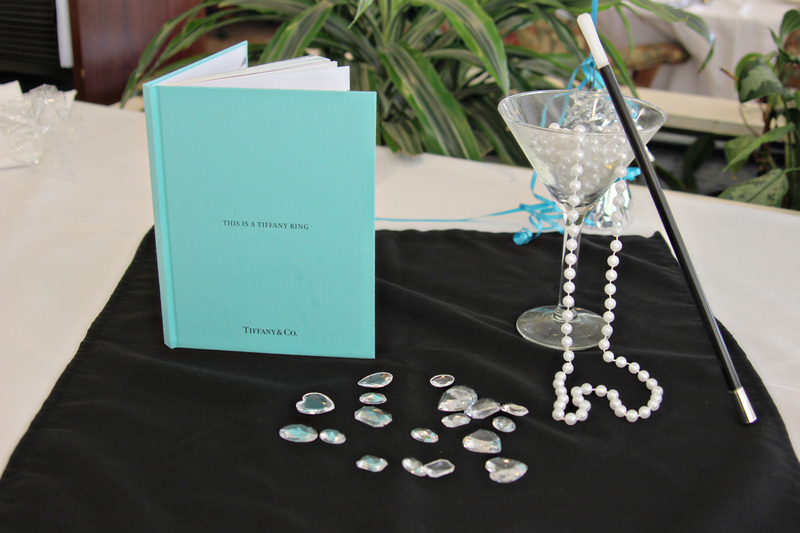 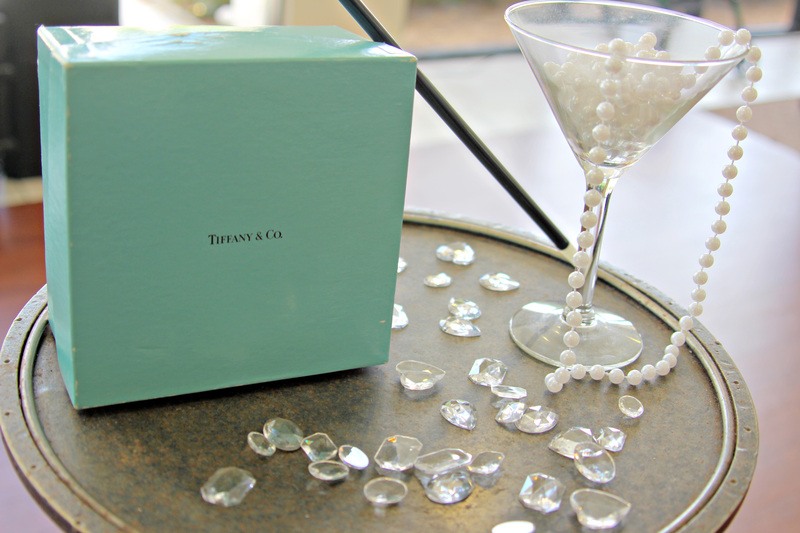 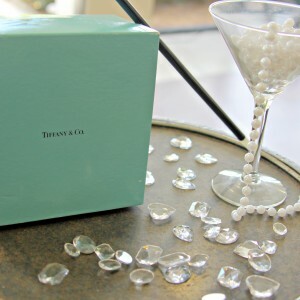 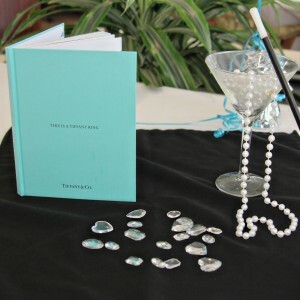 The event was based on the classic Audrey Hepburn movie, “Breakfast At Tiffany’s”. 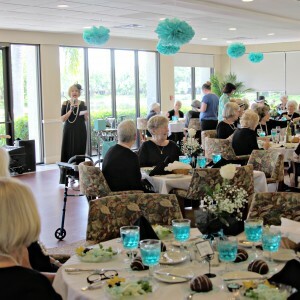 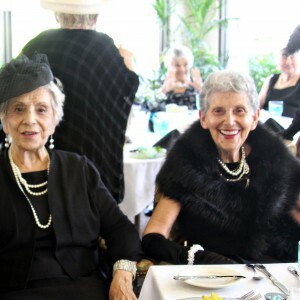 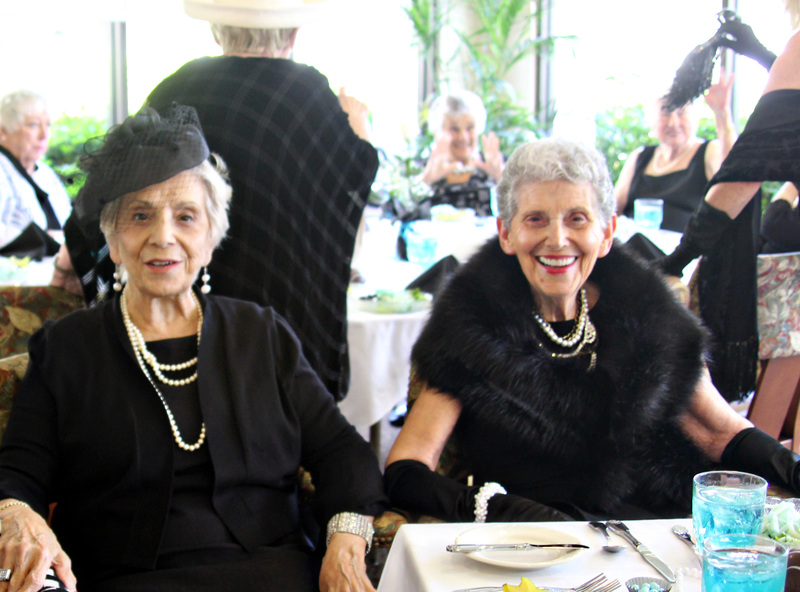 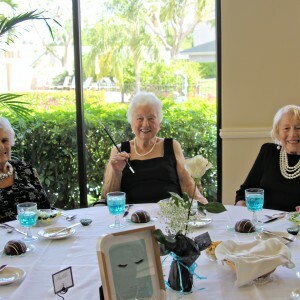 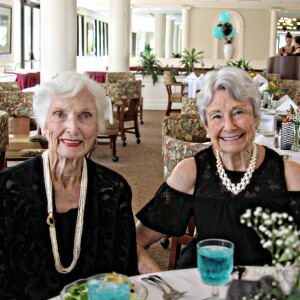 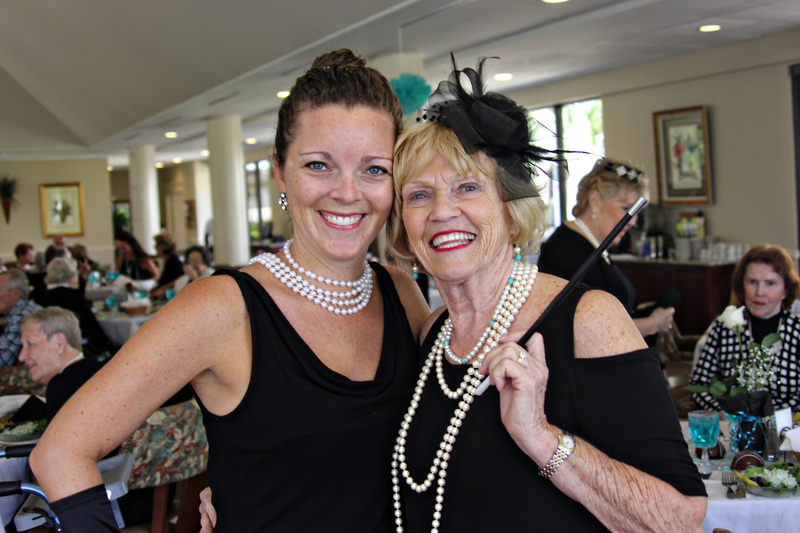 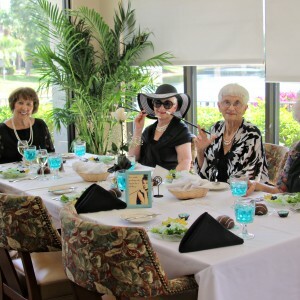 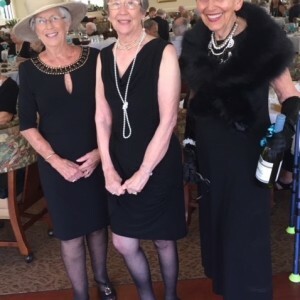 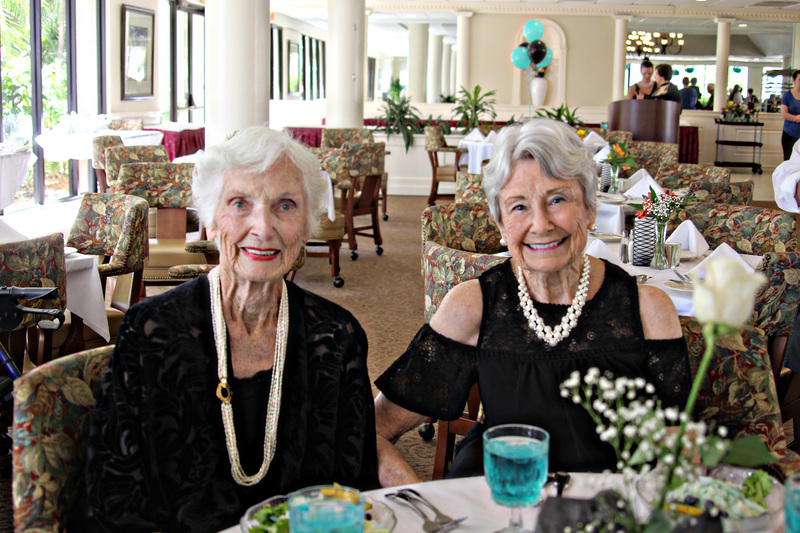 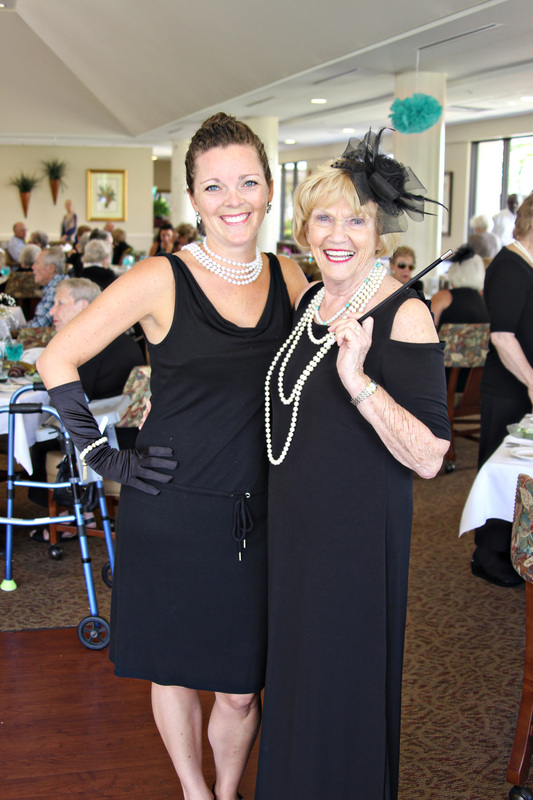 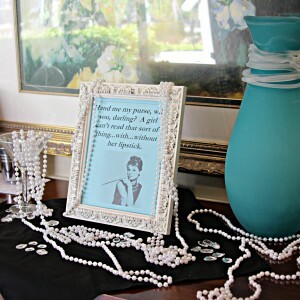 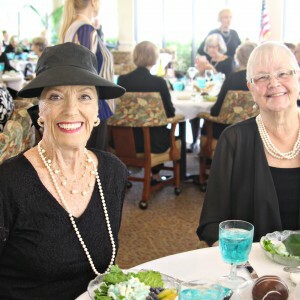 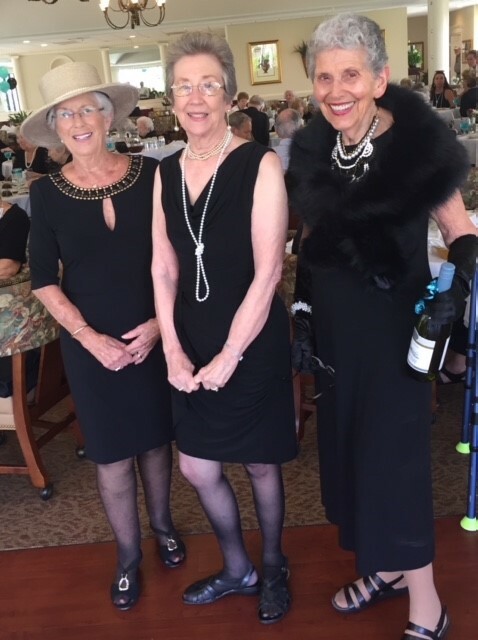 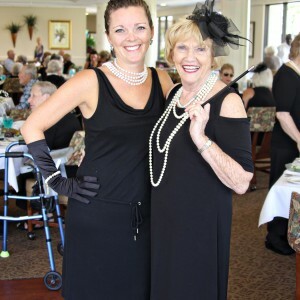 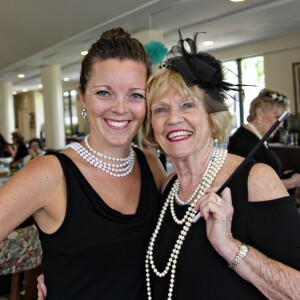 The 60+ women who attended got all dolled up in their black dresses, gloves, and pearls to imitate Audrey Hepburn’s iconic fashion style in the movie. 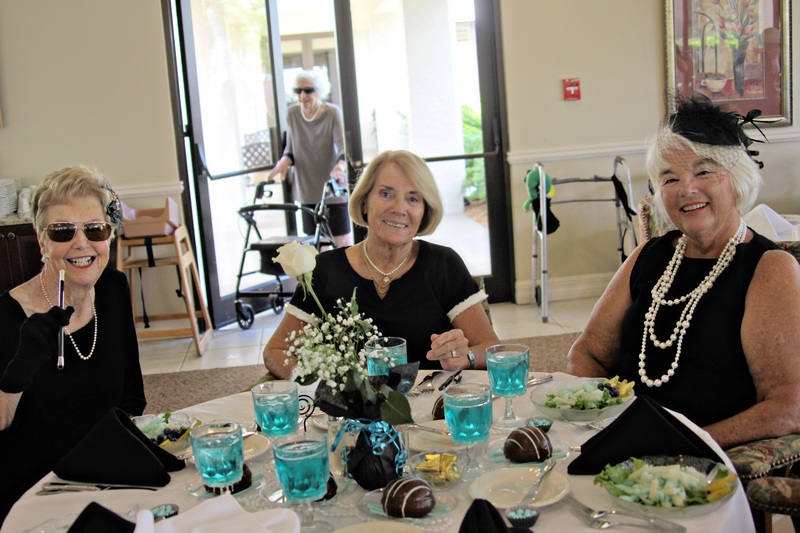 The Colonnade Room was all decked out in “Tiffany blue” decorations. 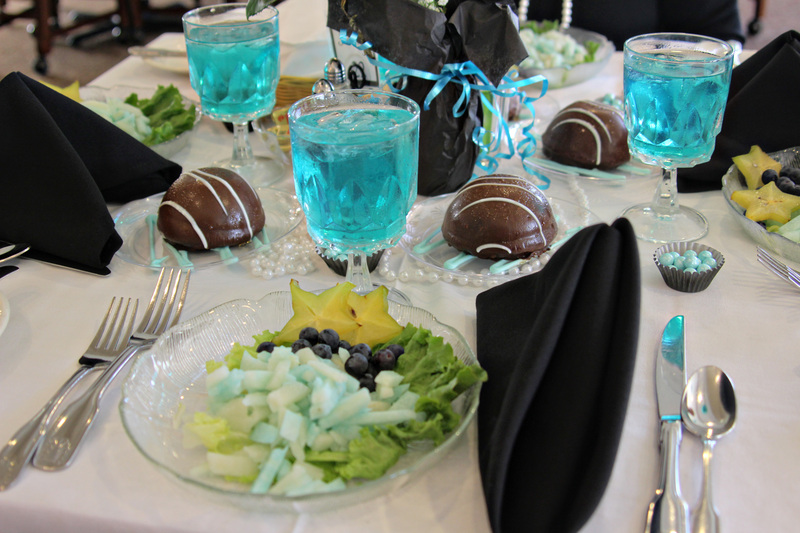 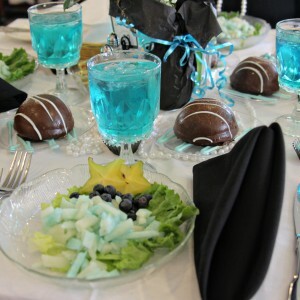 Lunch also featured all things “Tiffany blue.” For starters Chef Brett made a delicious blue colored pear and jicama salad followed by black alfredo noodles topped with grilled chicken, and finished off with an amazing chocolate “bomb” drizzled with Tiffany blue icing. 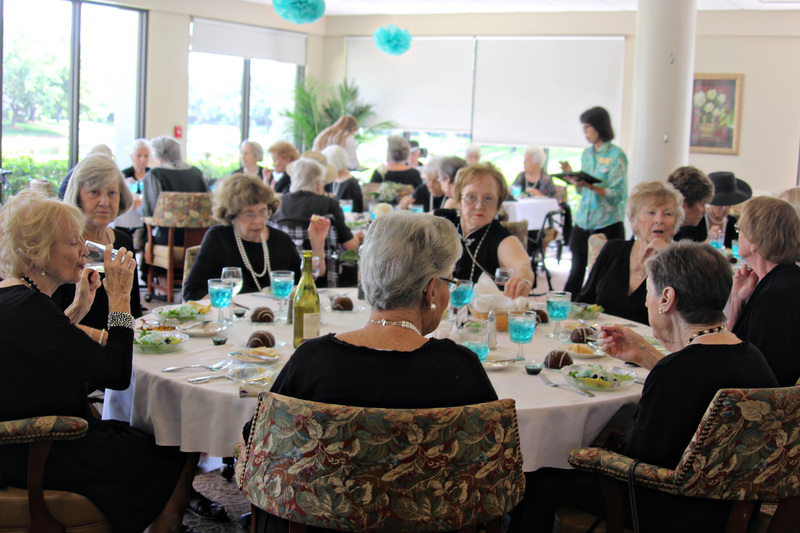 What a wonderful way to bring all of the lovely ladies together for a fun afternoon!